A hush falls across the crowd as millions (or maybe just under a hundred) of Chobani Greek Yogurt fans anxiously await the big announcement. Will it be me? Will I be the winner of the case of Chobani Yogurt? 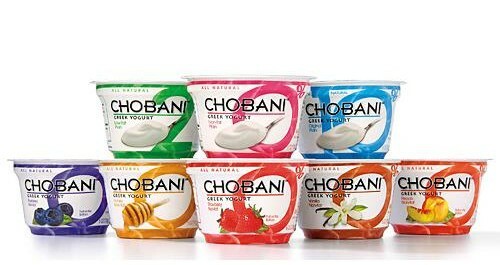 Will I be able to recreate one of Chobani’s amazing healthy recipes? Well my faithful readers, the wait is over. Drum roll please…. The 2011 winner of the Eat.Live.Blog Chobani Contest is…..
Ray Curran!! Congratulations Ray! Please email me your mailing address so I can have Chobani send you your prize. Make sure to come back and comment to let us know what delicious creations you made with your yogurt…or if you simply ate it with a spoon! Enjoy your day everyone! If you didn’t win, you still have until Tuesday night on Good Cook Doris’s blog! This entry was posted in Random and tagged bettrthanamango, blog, boston, chobani, Greek Yogurt, Winner by reneeh. Bookmark the permalink.